RRIF rule changes: Should Ottawa have gone even further? The 2015 federal budget proposes to lower the amount of tax-sheltered retirement money you are forced to access after 71. It's a good step but doesn't go nearly far enough, according to many financial planners. With an election just a few months away, the recent federal budget clearly had one eye on eliminating the deficit and one eye on Canada's seniors who — no surprise here — go to the polls in large numbers. From a personal finance perspective, much of the reaction was centred on Ottawa's decision to almost double the annual contribution room for tax-free savings accounts to $10,000. But the budget proposal to change how much of your own retirement money you are forced to access after you turn 71 could have broader impact and will eventually affect millions of RRSP holders. Collapse the RRSP, take the money in cash, and pay tax on the entire amount. Use RRSP funds to buy an annuity that will provide guaranteed income for life. Convert the RRSP to a registered retirement income fund (RRIF). Option one means an instant and often hefty income tax hit and no further income in retirement. Option two provides a guarantee but because interest rates are low, the annual payments will be low compared to years ago. And buying an annuity is an irreversible decision that will leave nothing for the kids. So most people — especially those who want more control over their retirement funds — choose the RRIF. It was this option that the recent federal budget addressed. If you go the RRIF route, you must convert your RRSP to a RRIF by the end of the year that you turn 71. Under the old rules, you had to withdraw a minimum of 7.38 per cent of your RRIF's value at age 71 — a percentage that gradually escalated with each passing year — until you were withdrawing 20 per cent of its value at age 94 and each year thereafter. The current withdrawal rates have been in effect since 1992, when the government raised them, forcing people to take out more cash, to help slash a soaring deficit. Higher withdrawal rates brought in more tax revenue. But 1992 was also a time when it was much easier to earn healthy returns from conservatively managed investment portfolios. Five-year GICs paid seven to eight per cent back then. In recent years, many financial analysts have been arguing that those withdrawal rates make no sense anymore. 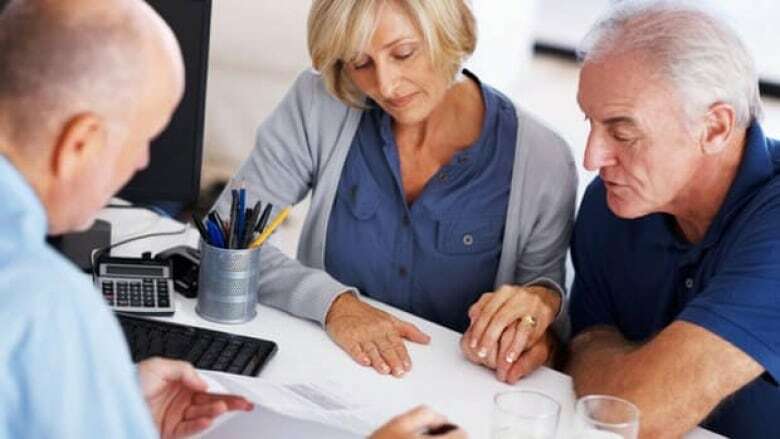 These days, seniors who have been keeping their RRIF assets in low-risk GICs earning two per cent are finding the real value of their retirement savings falling alarmingly fast. At the same time, life expectancies have been rising, meaning people have to live on their retirement income longer. Something had to give. And in the April budget, something did. The government proposed to relax the withdrawal requirements. This year, starting at age 71, RRIF holders will only need to take out a minimum of 5.28 per cent of the value of their RRIF, instead of 7.38 per cent. Withdrawal rates for subsequent years — at least, until age 95 — have also been reduced from the old rates. "By permitting more capital preservation, the new factors will help reduce the risk of outliving one's savings, while ensuring that the tax deferral provided on RRSP/RRIF savings continues to serve a retirement income purpose," the budget said. According to many observers, the move was a good first step, but not enough. 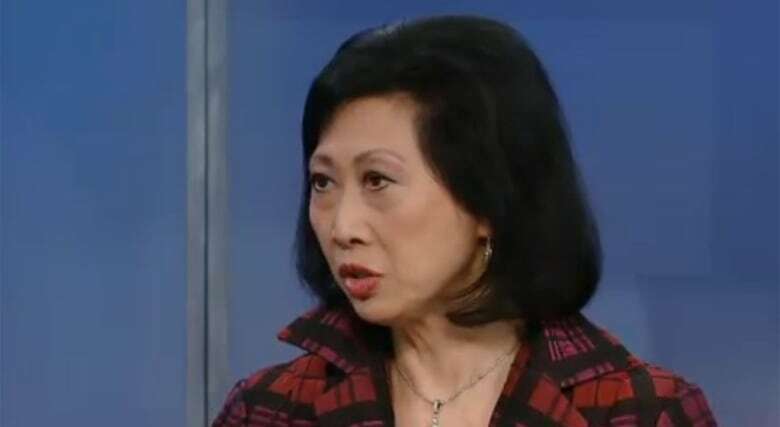 "They did make an improvement, which is pretty good, but they have a ways to go to finish the job," says Susan Eng, vice-president of advocacy for the seniors' lobby group CARP. Eng's 300,000-member organization has been lobbying for years to either lower the withdrawal rates or, preferably, eliminate them entirely. "We want the whole set of rules removed," Eng told CBC News. "These rules create a burden on people unnecessarily." She says many people will still be obliged to start drawing money from their RRIFs when they may not need it. "They may need to hang on to their money for later, when they may be coping with sticker shock from health-care needs," she says. "Canadians now more than ever need the added flexibility and control in deciding how and when to withdraw their own money," was how a CARP brief from late last year put it. Many financial observers also say the new withdrawal rates are still too high, given current investment returns. "People are still going to end up with a decreasing stream of payments. They'll just decrease a bit slower," says Alexandre Laurin, who co-authored a 2014 C.D. Howe paper that recommended the required withdrawal minimums be dramatically lowered or, like CARP, done away with entirely. Laurin notes that in justifying the level of the new levels the Finance Department is assuming that portfolio returns will average five per cent annually. "The five per cent investment return assumption, in our opinion, is too high," he says. "It's important to be grounded in reality, to base your assumptions in the market, what people can actually achieve." His point is that a five per cent return is not possible in the current investment climate without taking some risk. "People will make riskier investment decisions," something that 80-year-olds shouldn't be doing, he says. Matthew Ardrey, manager of financial planning at T.E. Wealth, told CBC News that he has clients who didn't want to begin getting RRIF payments, but had to take them. So they received their withdrawal, paid their tax and deposited what was left in a taxable portfolio or a tax-free savings account. "It would be nice if we were able to choose when we could take the money out," he says. "But I don't see that from a tax-based perspective," as it would entail a noticeable cost to the federal treasury. Since RRIF payments are taxable, lowering the rates deprives Ottawa of money, at least in the short term, as people are allowed to shelter more in their RRIFs for a longer period. 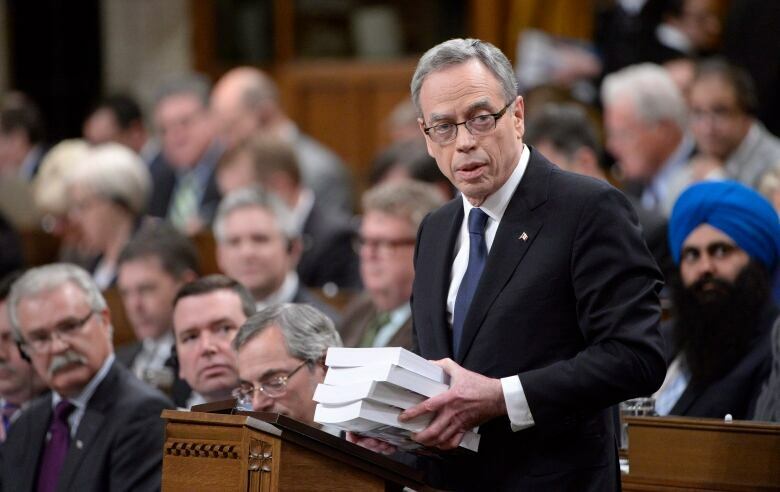 The budget documents show that Ottawa estimates the easing of the withdrawal regimen will cost it $670 million over the next five years. On balance, the people who have been lobbying for change point out that Ottawa will get its pound of flesh eventually, even if withdrawal minimums were eliminated entirely. RRIF payments are always fully taxable. And if someone dies without a spouse but with money in their RRIF, the whole amount is taxable in the RRIF holder's final tax return. Experts point out that if the final pot is bigger, the final tax grab will be too. "The feds will get their share sooner or later — they always do," personal finance author Gordon Pape pointed out in a recent media column. Still, that could be decades away, and a government trying to balance a budget can be understandably impatient about getting at least some payback for the tax break given years earlier, when the original RRSP contribution was made.